When ordering Rigid Seedling Protection Tubes the cost of freight should be a consideration. Tubes are very light and bulky. The boxes can be large and shipping costs are based on dimensional weight. Quantities shown per box are the most economical for shipping. We ship from our warehouse in Springfield, Oregon. If you are ordering from the Mid-West, South or Northeast, or if you have any questions, please call in advance so we can discuss freight charges. Toll-Free 1-877-736-5995. NEW!! NEW!! 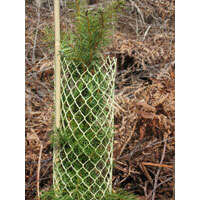 GO GREEN with new BIOdegradable tubes exclusively from Pacforest Supply Co.! 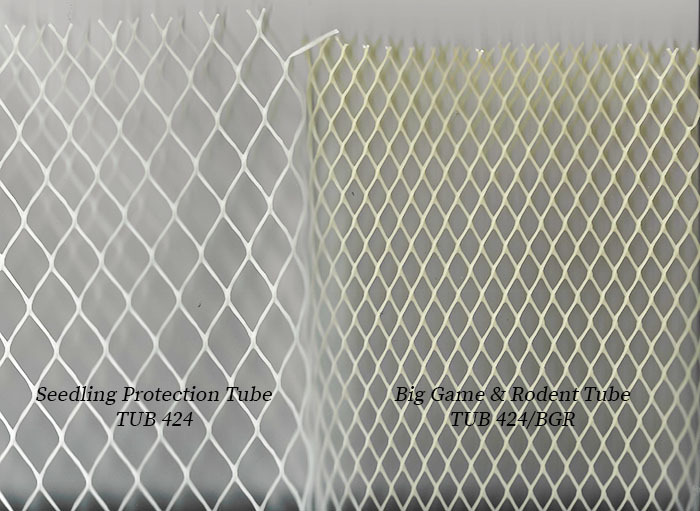 With special bio-additives, these tubes degrade faster and more completely than our regular tubes. 2 sizes in stock: 3-1/4"x18" and 4"x24". Pricing below.